OUR PRICE: $34.34 - Join Rewards Get $1 Dance Dollars On This Item! From gymnasts, to dancers, to cheerleaders, to girls that simply enjoy being active - Sylvia P offers comfortable and stylish designs for every move, every aim, and every success. Because let's face it, Sylvia P doesn't do mediocre and neither should you. Styles are limited so once they're gone, they're gone! 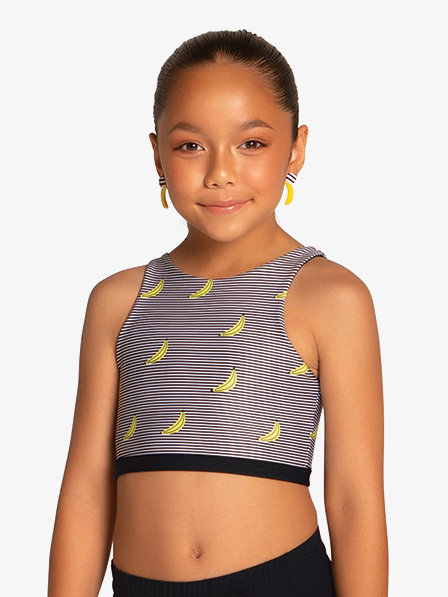 A super a-peel-ing crop top if we do say so ourselves! 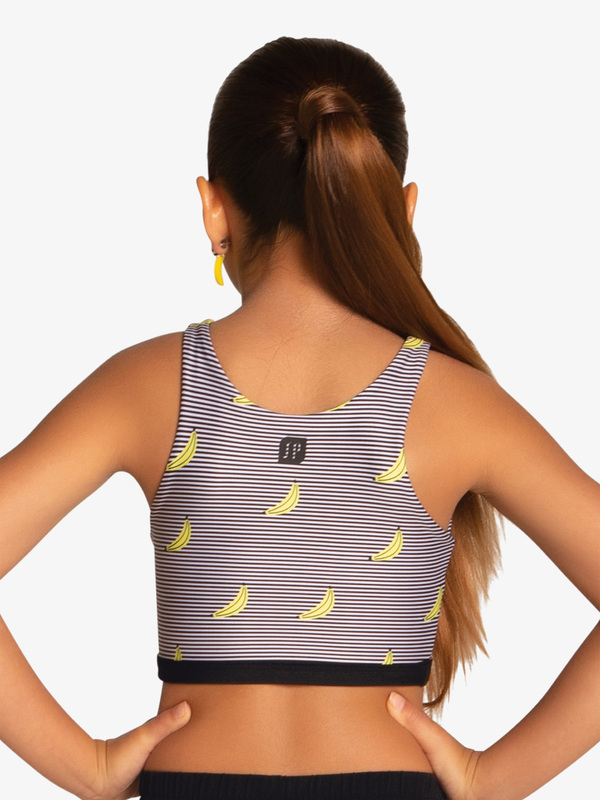 Crop top features a scoop neckline, tank sleeves, a contrast waist band, and a cute allover stripe and banana print.